Today’s infographic is about Novacoin, the second cryptocurrency based on an implementation of a combined proof-of-stake or proof-of-work system. The virtual coin, considered the seventh biggest cryptocurrency in August 2013, mixes features from Peercoin and Bitcoin. You can call it a hybrid. 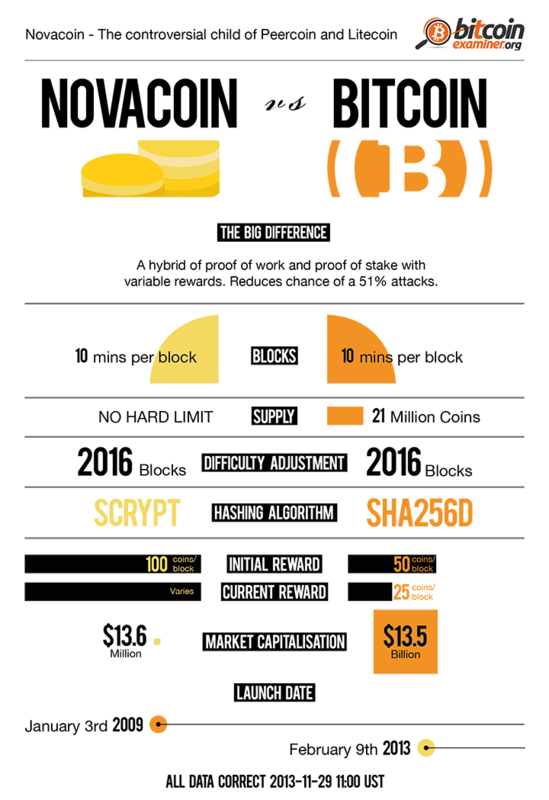 Probably the biggest difference when compared to Bitcoin is the absence of a limit of coins that can be produced, among other details that you can find out with the help of this infographic.